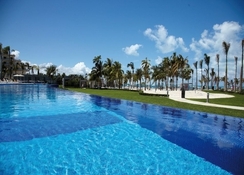 Riu Palace Peninsula wins hands down for its beachfront location, with white sands and turquoise waters on your doorstep. A 5-minute drive from downtown Cancun, the contemporary hotel is located in the lively Hotel Zone, right on the sand and offers a luxurious stay with a tropical backdrop to match. Dining is easy with a choice of themed restaurants serving a mixture of Japanese, Italian and Mexican cuisine, and you can find something sweet at the resort's patisserie and ice cream parlour. There are four pools to splash in with family, tennis courts and watersports, a mini club for kids and live entertainment to look forward to in the evenings. Unwind at the Renova Spa, de-stress in the sauna and jacuzzi or enjoy a cocktail on the terrace, looking out at turquoise waters. The Riu Palace Peninsula is located in the heart of Cancun’s Hotel Zone, on a glittering stretch of sand surrounded by tropical vegetation and turquoise waters. The 5-star complex is a 5-minute drive from downtown Cancun where you'll be met by a string of lively restaurants, shops and bars - or visit nearby Mayan Site El Rey for a shot of culture in Cancun. 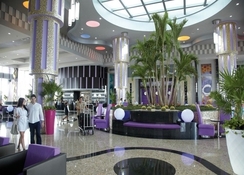 The resort is 26km from Cancun airport. 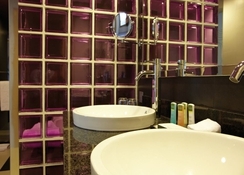 The 562 guest rooms are bright, fresh and stocked with modern amenities. Choose from Junior suite with spectacular sea views, a hydro-massage bath and a balcony or terrace; adult-only Junior suites that come with a lounge, shared pool and balcony or terrace, besides Jacuzzi suites. Indulge in buffet-style meals at the main restaurant Las Olas, where you can watch your food as it is being prepared on the cooking stations and also dine on the terrace. 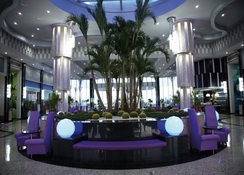 The hotel's themed restaurants include Krystal, the fusion restaurant, the Kabuki for Japanese cuisine, Venecia if you favour Italian, Tamales for anything Mexican and Isla Mujeres, a steakhouse. Spend time at Cabanga, the lobby bar, the patisserie Capuchino, La Latina lounge bar with terrace, besides the Plaza bar, Sports bar, the Trinidad swim-up bar and Tobago beach bar, with a lively terrace. There’s lots to do at the beachfront Riu Palace Peninsula, from snorkelling and kayaking in Cancun's famous crystal-clear waters, to fun in the four swimming pools, plus a pool for infants, a gym and spa. There’s also a mini club that keeps kids entertained, besides a golf course and tennis courts. Check into the Renova Spa for deep tissue massages, body wraps and beauty therapies or detox in the jacuzzi. Relax on a sunbed on the beach, get a game of beach volleyball, enjoy a romantic sunset with cocktails and look forward to live shows in the evenings. Currency exchange service: Due to new laws enacted by the Mexican government, the hotel will not be able to accept cash payment for stays or services in dollars. The new legislation also prohibits reception from exchanging dollars for pesos. This new legislation will not affect transactions carried out in other currencies. Spring Break Policies: Spring Breakers (either groups or individuals, regardless of age) are not allowed at any RIU property, at any time during the year. 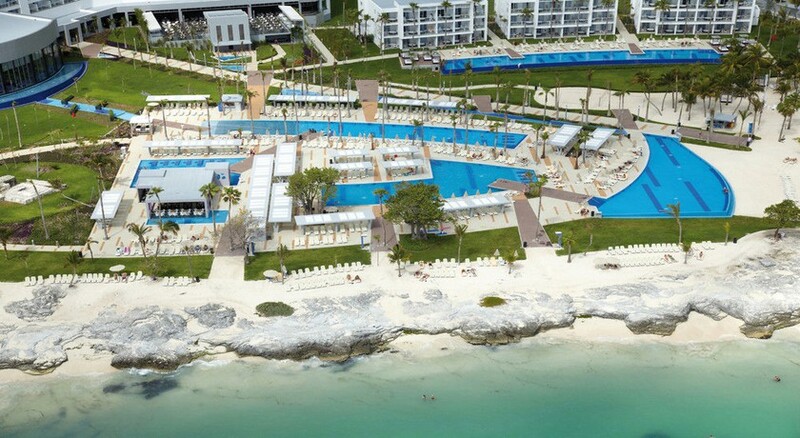 RIU Hotels & Resorts, reserves the right to withhold admission to any Spring Breaker. There are several beaches to visit in and around Cancun, such as Tortuga Beach and Langosta Beach, less than a kilometre away. Check out the Mayan ruins of Chichén Itzá and turtles being bred at Isla Mujeres.